What this tells me is that people WANT to be better at goal setting and more specifically, goal achieving. But, goals tend to die before the first week of the year is over. So, why is that? I believe most people stop pursuing their goals for one of two reasons. First, they have not experienced the power of setting and achieving real goals. What I mean is they have not seen first hand the powerful effects of a goal setting system. They talk about goals, maybe they even read about goals, but they don’t have the self-discipline to follow a structured system to set and achieve goals. One of my coaching clients told me last year completely changed his life and his business. He says through our coaching sessions he learned how to set and achieve small goals. Those small goals added up through out the year and made a huge difference in his life. The second reason people stop pursuing their goals in a structured system is they don’t have a simple system to help them set and achieve goals. I know that sounds silly but go out today and ask 10 people if they have a structured system to set and achieve goals. I would be surprised if most of your were able to find one person that has a system. 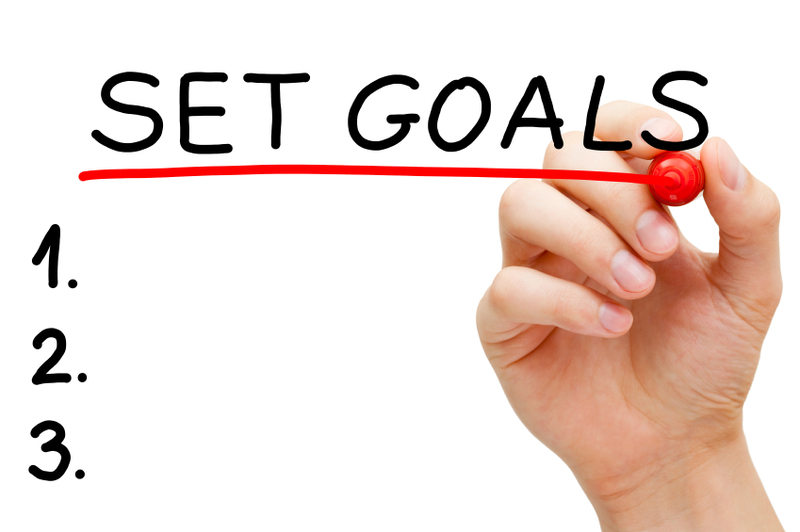 Here’s a structured, simple system to help you launch into the world of goal achievement. It starts very small but has huge effects over the course of a year and even larger effects over the course of your life. Think of it as basic training for changing the rest of your life. Achieving small goals as quickly as possible develops confidence and excitement to set and achieve bigger goals. It’s like anything else in our lives. When we experience success at anything it motivates us to continue on that path. Therefore, set yourself up for success by setting small, short-term goals and achieve them as soon as possible. I call my process Becoming a Goal Addict. I have a free system to help you set and achieve goals on my website. In this easy (and did I mention free) program I walk you through step-by-step how to set and achieve four goals in the next 60 days. Each goal escalates from the previous goal. Its simple but it’s not easy. It takes humility and self-discipline but I promise the lessons learned will change your life in the most positive manner possible.